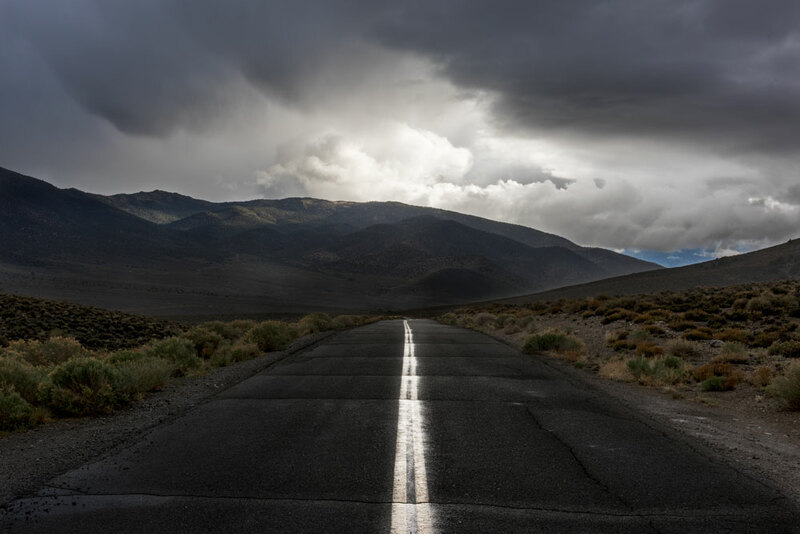 Two days before Memorial Day 2015 it rained so hard on the barren playa of Eureka Valley that we rushed out to climb the high desert back toward the dry Sierras! What stuck in the viewfinder was this solitary strip of lonely yellow lines, normally discreetly tucked into the desert road as obligatory, but nondescript. So very accustomed to the scorching sun at 120 degrees, the lines are basking in the rare, cool shower with an overflowing shimmer producing an ecstatic duet of overflowing light. The paint is merging with the lip gloss provided by a simple rain.